Pari Jewel creates fine cosmic jewellery. So, the packaging boxes for its jewels should have a matching cosmic style. 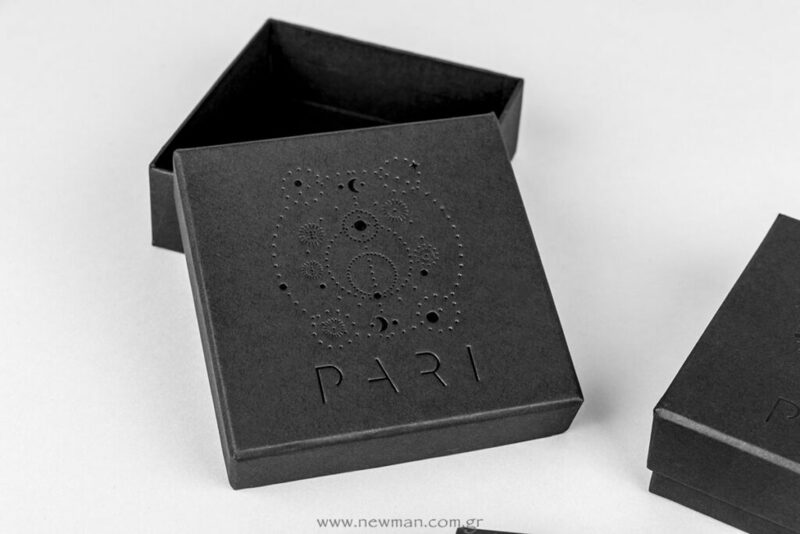 We printed Pari cosmic logo on custom black paper boxes. 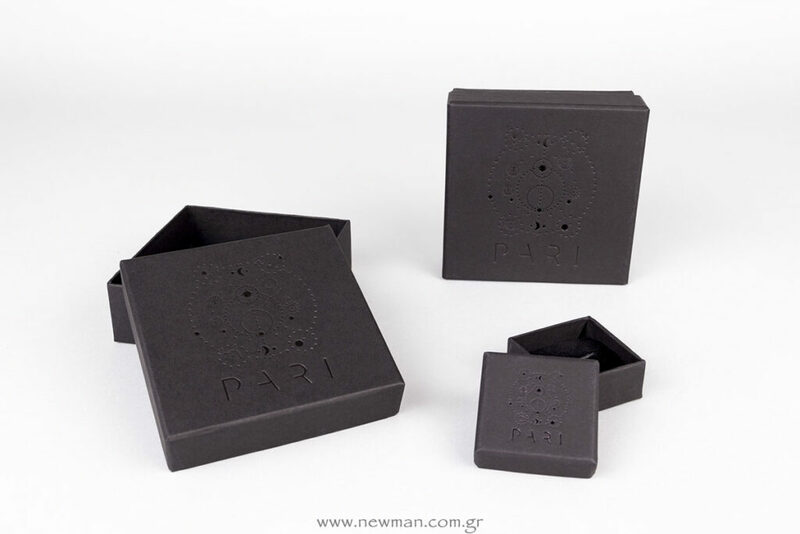 The boxes have special foam base inside to host each kind of jewellery. 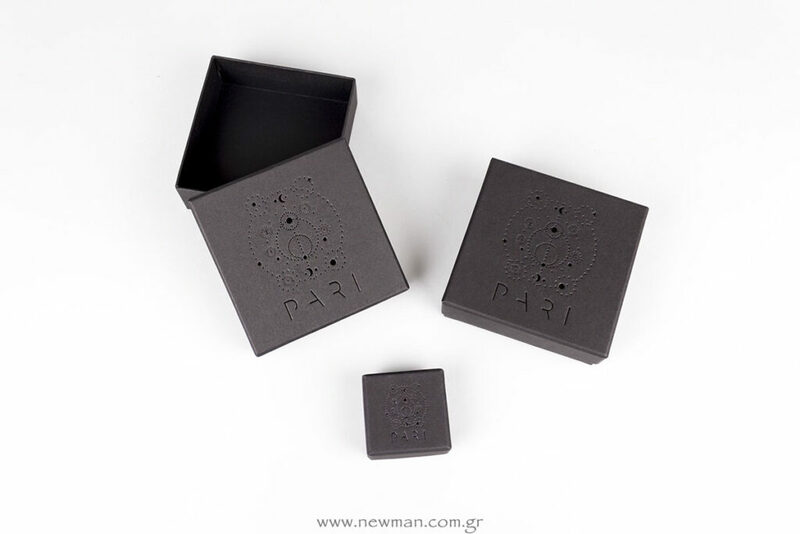 The print color is black printed on the lids of the boxes with hot-foil printing method. Black on black print has the effect of debossed. Learn more about the hot-foil printing here. 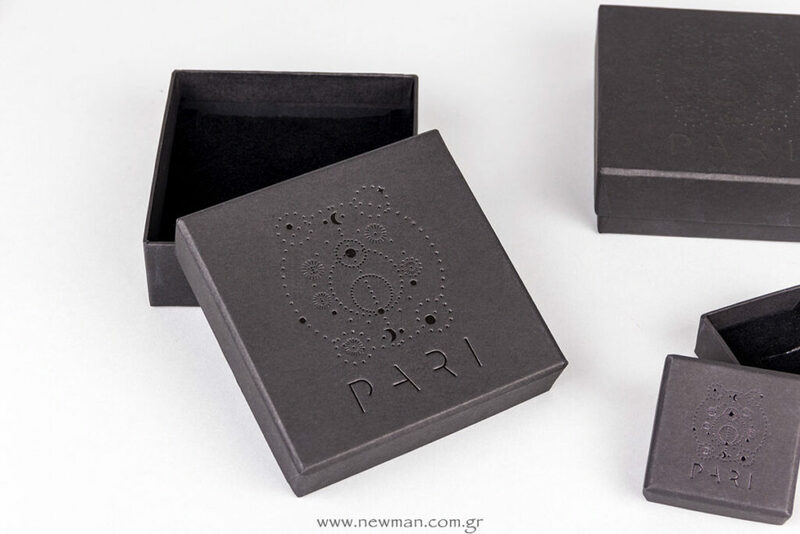 If you wish to print your logo on custom jewel boxes, please feel free to contact us. 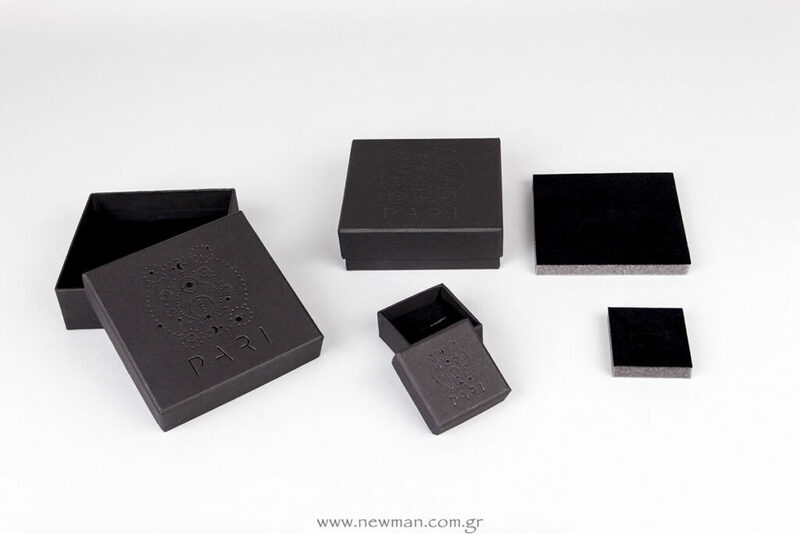 This entry was posted in Boxes, Jewels Packaging, Printing, Our work, Jewellery Boxes and tagged Box, jewellery box, jewelry box, jewels box, logo, metal printing, Nabuka, NewMan, Newman packaging, Packaging, packaging, packaging goods, paper box, personalized, printed boxes, ειδική παραγγελία, εκτύπωση, θερμοτυπία, Κοσμημάτων, κουτί με εκτύπωση, Κουτιά κοσμημάτων, Κουτιά κοσμημάτων με εκτύπωση, Χάρτινο.